Nobody eats fruit around here! The Sheriff arrived at 5:15 p.m. minus horse but with very shiny, pointy star badge. Please not that any errors in transcription are due to the indeterminate country of origin of the police personnel. Quote – I was called to the property in question, responding to an anonymous tipster regarding a noisy disturbance. On entering the premises, I noted three semi clad children leaping about the place in an uncontrollable manner. An adult female identified herself to me as their parent. Fortunately the old crow was not scantily clad, however her wild behaviour indicated that she was in fact the ring leader. Although virtually incoherent, I did manage to piece together a few irrelevant details, as to the cause of the disturbance. The parent appears to be irrationally fixated upon the different sub species of orange, insisting that the peel in question, was not that of an orange but indeed, that of a Satsuma. I had to endure a long treatise as the options available, which included, but was not limited to: Clementine's, tangerines and Minolas……….. Their significance or the importance of their distinctive characteristics was lost on me. I took this as an indication that the inhabitants are vegetarians, devoid of the karma afforded to us meat eaters. 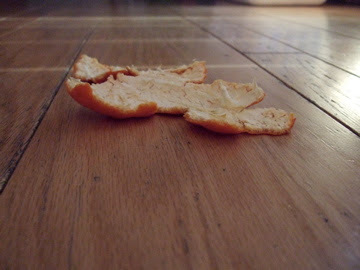 It may well be that the parent’s real complaint was of a ‘littering’ nature, although I am given to understand, by the said parent, that citrus peel is ‘bio-degradable.’ I advised the parent that I was familiar the term ‘bio-degradable’ but failed to see it’s relevant in a domestic, interior context? 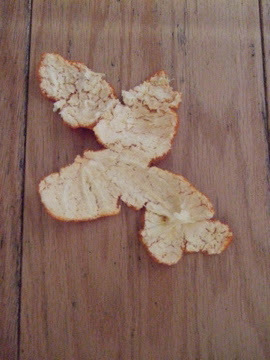 The parent declared that her eldest son had eaten a Satsuma of his own volition. I tried to determine whether the said food item had been tampered with, adulterated or interfered with in some other manner, such as to provoke fear and consternation throughout the family. Parent denied credibility of my ascertions. Upon further questioning it became clear to me, that the family was not in fear of an incident of poisoning, as I had at first assumed. I soon determined that 'fear' was not the paramount emotion coursing through the family members, but rather 'elation.' I am still at a loss as to why it should be that a celebration had embraced the family following consumption of an orange by one member. The member in question addressed me as follows “are you dah cop guy?” I confirmed that his powers of observation were correct. 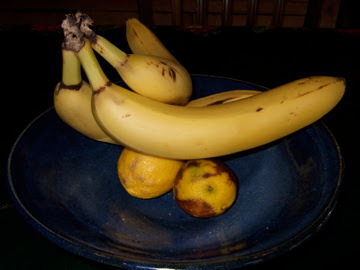 “You see I dah one who does not eat dah fruit. I don eat the vegetables evver.” Whilst I fail to register the significance of such a statement, the child was obviously happy and I saw no need to detain them any longer. I gave a brief consideration as to whether to file a 'wasting police time' report, but though better of it.